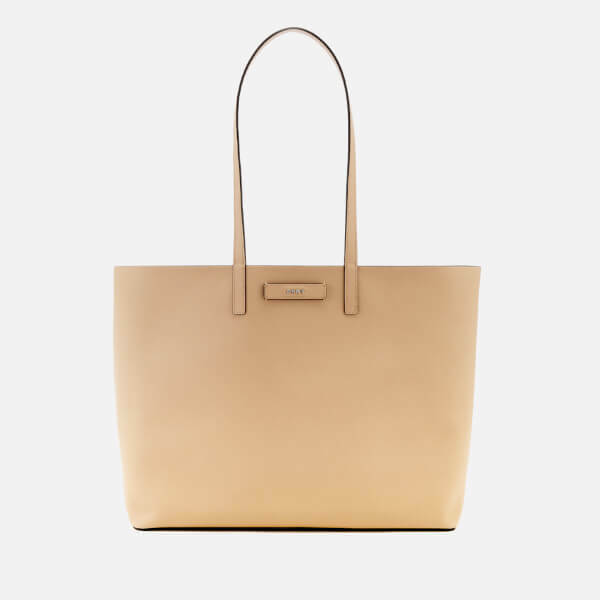 Reversible DKNY tote bag made from faux leather. 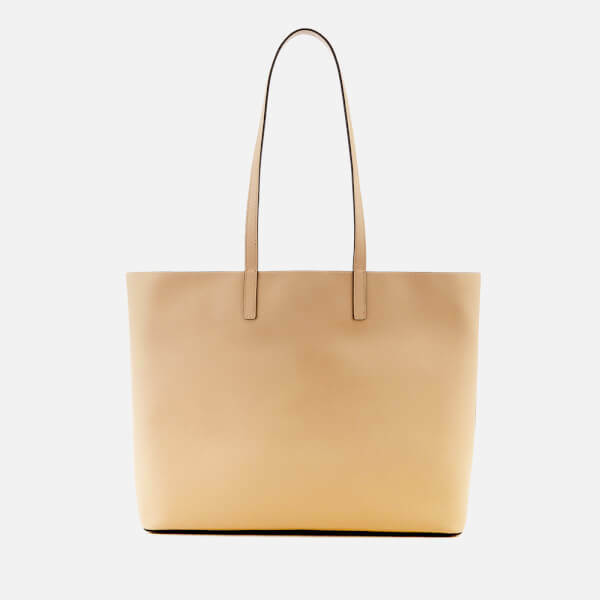 A versatile design for everyday, the open top PVC bag can be worn two ways: beige or pink. 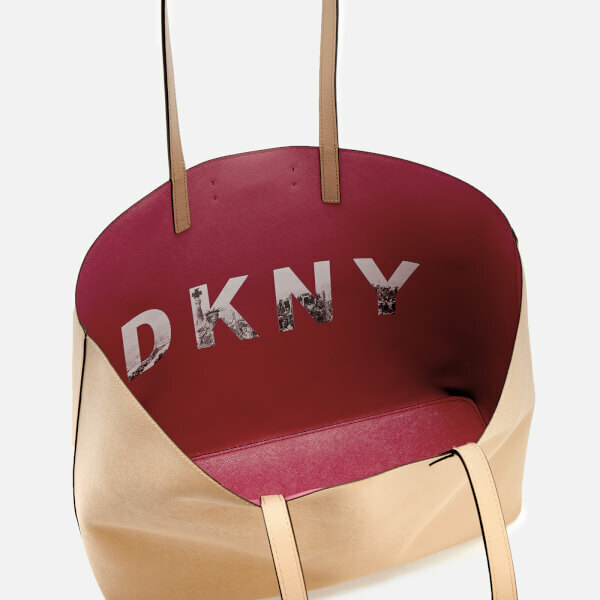 The beige design maintains a minimal aesthetic with subtle branding, while the pink side pays homage to New York City, seeing the NYC skyline printed onto a large DKNY logo. 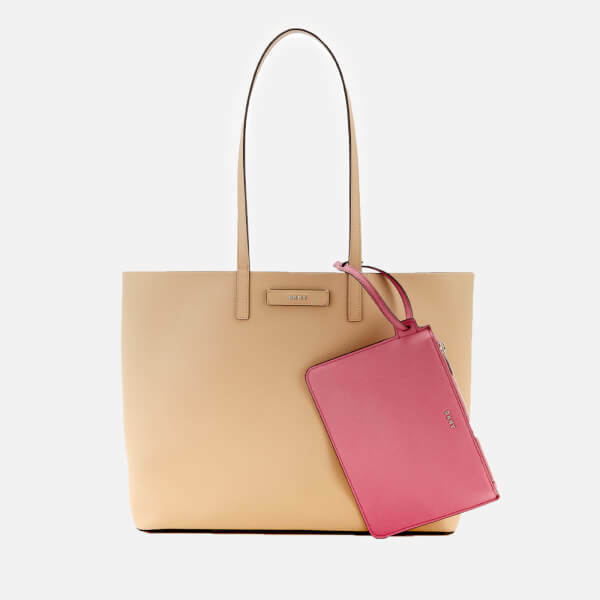 The large 'Brayden' is complete with two slim shoulder straps and a removable zipped pouch housing two card slots and single slip pocket.